At last, a small camera that takes DSLR quality images. 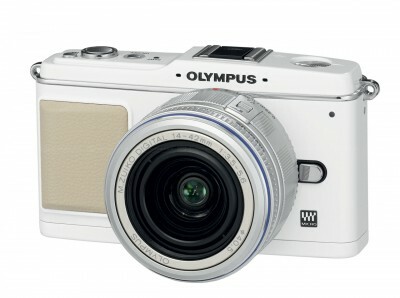 Olympus has finally announced its first micro 4/3 camera. Unlike the Panasonic GH-1 it “only” does 720p video (but the samples I’ve seen are gorgeous), has no viewfinder or built-in flash, has a low resolution (but large) fixed LCD, is actually quite small, and is priced competitively (MSRP $699 body only, $799 with a 14-42mm Zuiko lens). One really intriguing feature of the camera is that in addition to being able to share lenses with all other micro 4/3 cameras (e.g. Panasonic’s 14-140mm and 7-14mm lenses, and various Leica lenses), it can use normal 4/3 lenses via an adapter, and it could potentially use pretty much any 35mm or APS-C (or even Leica M-series) lens via adapters (Olympus is providing an OM-system adapter for starters). This makes it almost the perfect “backup” camera for serious photographers since it could easily share lenses with any other camera one happens to use. This camera is almost pocketable, offers similar low-light performance to the Canon T1i (i.e. slightly inferior to the D5000/D90, slightly better than the GH-1), has built-in image stabilization, dual control dials, full manual control, all-metal construction — indeed the same feature set as Olympus’s E-620 and E-30 DSLRs. And it looks lovely. If it had a viewfinder, or even a higher resolution LCD, I think it would be ridiculously compelling. If, as many expect, its street price quickly drops below $400 it will be ridiculously compelling anyway. I, for one, don’t much care about the lack of flash, since I avoid flash (especially built-in flash) as much as possible. Oh, and it’s perhaps the most physically beautiful digital camera I’ve seen.